I don't know about you, but I'm a very visual person. I truly appreciate the way God made the world with all its variety, color, and rich diversity. I am thankful for the way our Father in heaven used certain key images in our world to remind us of his daily provision and eternal grace. The beauty of a rainbow is not just in its wonderful colors or in the aroma of fresh rain, but in the promise that our God has made to us. The eternal and living God has chosen to link himself to our destiny and to involve himself in our world because of his love and grace! 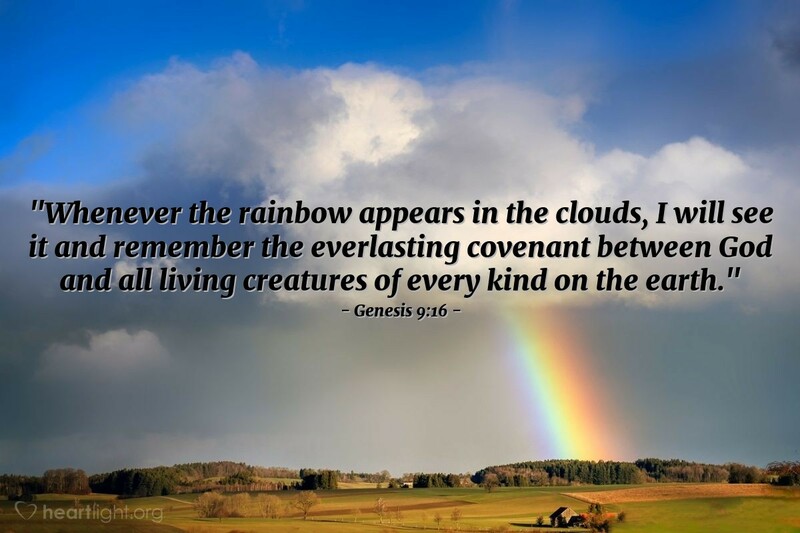 The rainbow is a reminder that we are God-blessed. Almighty God, thank you for making your great promises when we had no right to expect them, much less to demand them. Thank you for attaching those promises to things in my everyday world so that I can be reminded of your constant and watchful care. In Jesus' name I pray. Amen.